Cory Booker’s School Choice Legacy Could Be His 2020 Undoing. Former Newark, New Jersey, mayor and current New Jersey senator, Cory Booker, is running for president in 2020. Booker is a Democrat who will find it difficult to separate himself from Republicans when it comes to school choice. And a major, sustained push it was. GROSS: Which is great, but they hadn’t told the community yet. So parents and teachers learn about this big reform movement that’s about to hit them from Oprah’s show. How did that play in the community? RUSSAKOFF: Well, it played disastrously in the community because, immediately, nobody understood why do we have to turn on “Oprah” at 4 o’clock to find out what’s going on in our own city? And if you want to save the schools for the benefit of our children, why weren’t we told? And, by the way, there’s a very large consensus on the ground in Newark at this time that the schools really need change, that the schools are failing in unacceptable ways. And so there wasn’t really, you know, a roadmap for how to do that, but there were a lot of people, including some very skilled, experienced teachers, who deeply understood the needs of the children in Newark who would have been eager to be part of that conversation. And not only were they insulted that they were left out, there was an agenda that was crafted that didn’t have the benefit of their really important insights into what was needed in Newark. As Chalkbeat notes in February 2019, Booker’s most notable legacy as Newark’s mayor may well be his promoting charter schools. Sen. Cory Booker (D-NJ) spared no ill words about Education Secretary Betsy DeVos during her confirmation process, but some have pointed out in recent days that Booker attended the policy summit for DeVos’ organization on two separate occasions. In the speech, Booker said, on school choice, “I’m going to fight for the freedom and the liberty and the choice and the options of my people.” He criticized politicians who oppose school choice but send their own kids to private schools. Indeed, Booker is listed among several elected officials speaking at AFC’s third policy summit in 2012. Something must have changed in the last eight months. Among them, Booker’s not-so-secret positioning to run for president in 2020. Indeed, Booker is running for president. 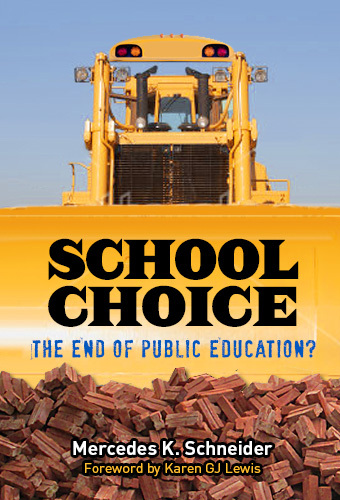 The question is whether Booker 2020 can run from his established connection to what is increasingly becoming a more Republican-embraced– and a more Democratic-shunned– school choice agenda. A major part of Booker’s problem is that charter school expansion appears to be his single, notable mark as Newark mayor. Nothing else he did comes close. New Jersey senator Cory Booker is still a fresh face with an unclear identity. But for progressives and labor activists with long memories, he’s got some issues, too. Booker did begin to talk a lot less about vouchers and more about charter schools as mayor and as senator, and ultimately voted against DeVos’s confirmation as Education Secretary. But he has never entirely turned the page on this issue. For Booker 2020, any DeVos-distancing page-turning might be too late. Booker is a disgusting opportunist. Why anyone would vote for him is beyond me. Look up the definition of colorism and it describes Cory Booker “to a T”. I certainly hope that NAACP and the Teacher’s Unions do NOT endorse this man. He is unfit, a pawn, Teflon, finger in the wind decision maker, unworthy of being president. Booker’s stand on choice will destroy his climb to the presidency. 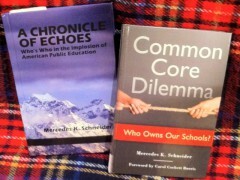 I invite everyone to check out the failures of school choice in Indiana. It has allowed more parents to have their children run away from real world experiences. Many here in Indiana call it discrimination at its highest level. Booker’s links to the despicable enemy of public schools Betsy DeVos should rule him out as a serious Democratic candidate. My sentiments have been much more eloquently stated in the comments above. However, as Democrats let us resolve to cast our vote on whoever wins the primary, be it Cory Booker or Jerry Lewis. The malignancy in Washington must be excised! And a curse on Super Delegates! DOWN WITH THE REPTILES! Drain the swamp (both sides of the aisle)!!! Shocking… Can his candidacy survive? Considering that he grew up in a beautiful, leafy NYC suburb with fantastic, well-resourced public schools, the children of Newark would have been better off if he had strived to provide that experience in NPS. How we gonna drain the swamp if Booker’s out there planting mangroves? Eh? Not to worry, he doesn’t stand a chance once people learn that he arranged for teachers to be paid more while extending the school day…. We need an oak tree for president, not a little rotten branch. « Does TFA (Illegally) Take A Side On Recent Teacher Strikes?